Tom ‘Durrrr’ Dwan is one of the best poker players in the world right now, we can’t really say the same for his poker blog though. His blogging isn’t bad its just that he doesn’t update on a regular basis having said that though sometimes he does update his blog three days in a row, but then nothing for a month or so. Durrrr has started regularly tweeting and this is now probably the best way to find out what he’s doing (and who he’s beating). 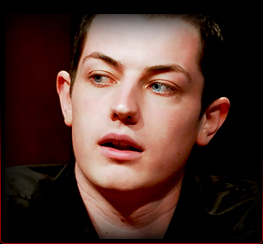 You can find Dwan’s twitter feed at the bottom of Tom Dwan’s profile page on PokerHarder UK. Considering Durrrr is a very young poker pro that is earning millions of dollars each year and living a Hollywood celeb style lifestyle we can hardly blame him for not updating his blog regularly. Would you update yours if you could be taking millions of chips from some new hot shot player? So we thank Tom Dwan for his updates however sporadic its always good to read them. A really good thing about Durrr’s blogs is that since he issued his ‘1 million dollar heads up challenge’ to pretty much anyone in the entire world (except ‘OMGClayAikon’ lol), it has been hard to keep up to date with how that challenge is going and Dwan talks about this a lot when he blogs. If you fancy finding out more about Durrrr’s heads up challenge and who he is taking on the make sure you take a look at his blog page for updates. Here is your link to Durrrr’s official blog.